Americans love to eat. Fortunately for c-stores, also dear to their hearts is not having to cook. Convenience retailers are counting on that fact as they continue to develop their own prepared-food and grab-and-go menus, banking on foodservice as the high-margin way to combat declining sales in the core categories of tobacco and fuel. That doesn’t mean restaurants are letting c-stores steal their lunch. That channel faces its own set of competitive threats and is responding with menu reinventions of its own, on top of developing a flurry of digital ordering, pickup and rewards programs. In the meantime, online competitors are circumventing the supply chain altogether with a wide range of items, including fresh, home-delivered meal kits. For the past several years, speakers at the summit have addressed the threat of cross-channel competition. Increasingly, the central topic of those talks has been food. Billy Milam, president of RaceTrac Petroleum, Atlanta, started this year’s narrative with a number: $700. That’s how much the average household saved when gasoline prices plunged in late 2014 and early 2015. 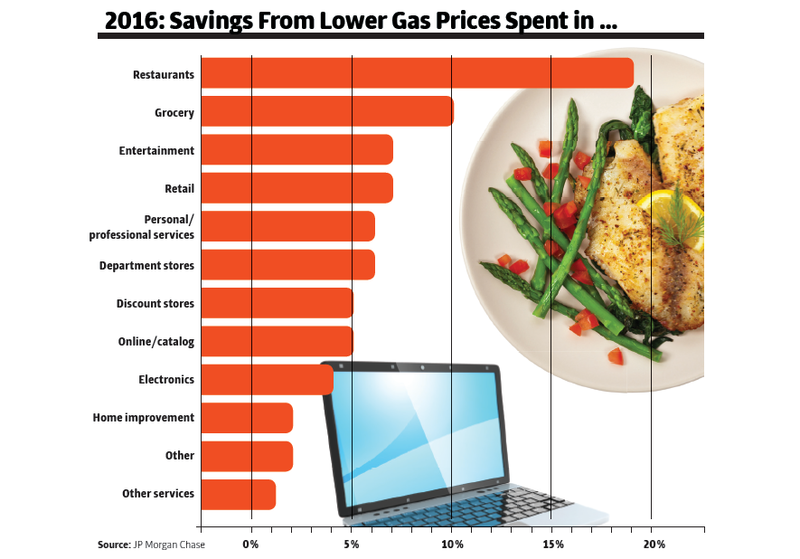 Americans initially spent that money on premium c-store items such as higher grades of fuel and premium cigarettes. In 2016, they turned to restaurants. The potential for food—immediate consumables in particular—to sustain brick-and-mortar retail is a message that seems to be reverberating across all channels. On almost every front, from supermarkets to dollar stores and big boxes, retailers are developing ways for people to eat what they want, when they want it. Same-store sales are soft as a glut of locations and discounting eat away at profits. While prices on commodities such as meat have fallen, labor and rental costs have gone up. Supermarkets, c-stores and dollar stores are expanding their foodservice offers, chipping away at share of sales. Online retailers are becoming a bigger threat with faster delivery times on grocery items and meal kits. And competition may be on the horizon from the digital world, if Amazon Go is any indication. Seattle-based Amazon has almost single-handedly redefined the retail space in recent years, Milam said, generating a market value of $355 billion as of year-end 2016. That’s greater than eight of the major big-box and department-store retailers combined. “[Amazon has] grown and devastated a significant portion of brick-and-mortar retail,” Milam said. That threat is now expanding into foodservice, evident in the shelves replete with prepared foods at its Amazon Go small-format site. 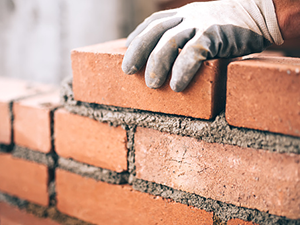 In examining the current state of brick-and-mortar sites, foodservice isn’t the only factor influencing either the growth or decline of retail channels. It’s simply one factor. Other influencers, including the overall growth of e-commerce, a diversifying customer base and polarizing drivers of both value and luxury, are creating winners and losers across the totality of retail. 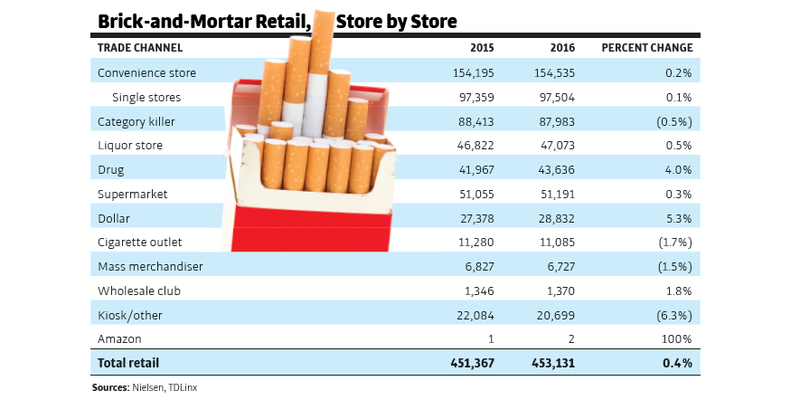 In the brick-and-mortar world, dollar stores took the largest steps forward with a 5.3% unit growth rate in 2016 from 2015, according to Milam of RaceTrac. Citing Nielsen numbers, he said drug stores grew by 4%, with total retail stores growing 0.4%. C-stores were relatively flat at 0.2% growth, with 154,535 stores in 2016. Singling out dollar stores, Milam said Goodlettsville, Tenn.-based Dollar General bought 41 Wal-Mart Express stores with the intent of converting them into the dollar format. At the same time, it is operating fueling stations at 37 former Wal-Mart Express stores. Dollar General also plans to grow to 20,000 U.S. stores, up from 13,000, with more perishable food and health-and-beauty-care items. In 2017 alone, Dollar General will open 1,000 new locations, bring two distribution hubs online and create 10,000 new jobs, growing its staff by 9%. Also addressing growth trends, Hale, formerly of New York-based Nielsen, pointed to strategies by Woonsocket, R.I.-based CVS, which is testing Hispanic-themed stores in California and Miami, tapping into the country’s changing demographic. Still, Hale readily brought the discussion back to food. Grocer Aldi has stepped up its game, emphasizing fresh and perishable goods, “less junk” and more organic and natural selections. Cincinnati-based Kroger has added wine and craft-beer bars, serving shoppers with beverages inside the store with appealing sit-down stations. To think of food in a vacuum, however, could be fatal for c-store retailers, Milam of RaceTrac said. In more than 20 major metropolitan areas, Amazon is offering its Prime customers (who pay an annual fee to be a member) free same-day delivery. That’s an offer covering 77.6 million Americans. The online giant also continues to expand its one-hour delivery service, Milam said. Wal-Mart is on Amazon’s heels, further developing its online grocery pickup, fuel and convenience concept, currently with two locations. And Seattle-based Starbucks is expanding its digital connection with customers in multiple ways. The gourmet-coffee giant has 12.3 million active members in its mobile-rewards program, with 21% of all transactions occurring via app. As of the company’s most recent quarterly filing, Starbucks customers had stored $1.5 billion on their Starbucks cards. The threat that cross-channel competition brings to c-stores may appear to be food-focused, but Milam painted a bigger, more ominous picture. Keeping with the Starbucks example, he said the coffee chain intends to hire 10,000 refugees in the next five years in response to President Trump’s ban on refugees from several countries entering the United States. It’s an appeal to social consciousness as well as a bid to be a more attractive employer. On the hiring front, Starbucks has announced additional benefits, including a 5% pay raise, a more relaxed dress code and a maternity and paternity leave plan.